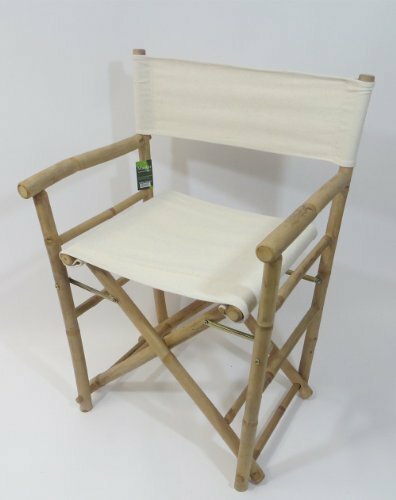 Our foldable bamboo director chairs are ideal for both the indoors and outdoors, in your home or outdoor patio. Handcrafted with solid bamboo for excellent strength and beauty. These chairs are solidly built with no assembly required. These elegant chairs are ideal for seating in public establishments as well as casual use at home. They are available in a light bamboo color. Features a white canvas for both the seat and back support.